Here's the layout I made this week for work. 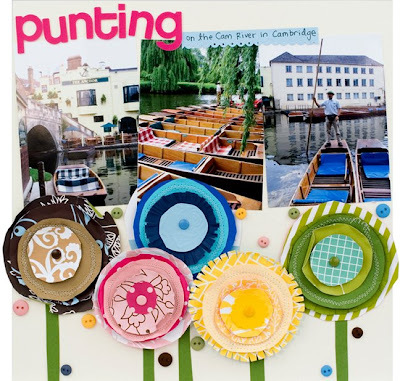 It's showcasing photos from the day we went punting on the Cam River in the college town of Cambridge. Good times! I had a lot of fun making those flowers. And what layout would complete without buttons? Those flowers are so cool, Paige! I love them.